Have you been hearing your coworkers complain how the AC isn't really doing its job? Are you, too, feeling as if it has seen better days? Perhaps it's primed and ready for a tune-up, then. An AC tune-up in your office can involve lots of different things, but the purpose is ultimately the same: allowing the unit to function better and with more efficiency overall. ​You don't need to have your workplace AC in particularly bad shape in order to get a tune-up – all that's necessary is a desire for better performance. 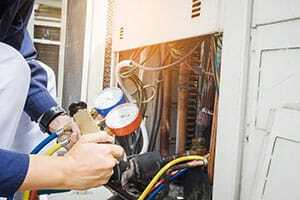 In fact, this is often an alternative to replacing your AC unit altogether, as tune-ups greatly improve an air conditioning unit's performance, often to the point of the owner feeling as if he bought a brand-new unit. Our tuning up procedure will depend on the age of your AC unit as well as how often it was maintained. Older units definitely need more work done as the parts have often either become worn down or are close to breaking with a bit more use. But it's not just faulty parts that our tune-up can replace – newer often means better, and installing top-of-the-line parts is sure to boost the AC's performance significantly. Our job will be much easier if you've been regular with your maintenance, but it's not a necessity as our technicians are prepared for any task that might come their way. However, if your AC is in bad shape, you'll have to adjust your workplace schedule so that we can work for a longer period of time without disturbing the workers. 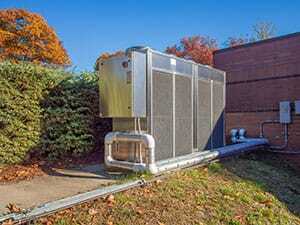 Every AC tune-up we do involves checking every single part of the AC unit to ensure nothing is amiss. From there on, we will focus on two things: replacing parts that have seen better days and upgrading those that are no longer the best on the market. Of course, we'll check with you before making any serious upgrade – Boerne Air Conditioning Experts aren't one of those companies that are quick to perform as many services as possible in order to rack up the bill. If you still aren't convinced about the usefulness of a tune-up, perhaps we should let you know that it can increase your business' profits as well. A tune-up can improve the energy efficiency of an AC unit by as much as 30 percent – that's 30 percent less on your utility bill every month. We're sure that, as a business owner, cutting costs ranks high on your list of priorities, and this is a great way to do it. Also, don't worry about us making a noisy mess while we're tuning up the AC unit. Our commercial work is always done in a way that doesn't hurt workplace productivity in any way – we can plan ahead with you to find the perfect time to do the job, such as when most employees are absent. No matter the kind of AC system your workplace has and how large it is, give us a call and we'll have it working like a charm in no time.